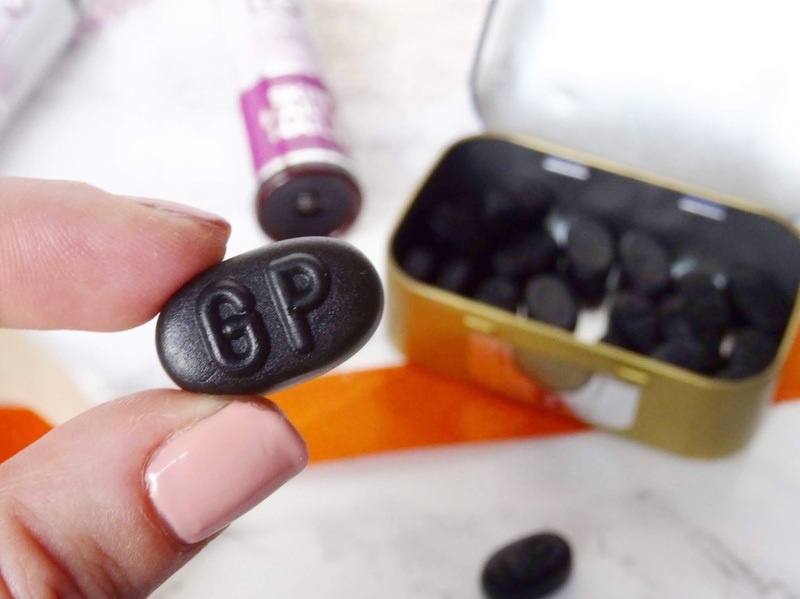 At the beginning of the new year I got the exciting opportunity to test out a few healthcare products that I've actually never heard of before; which of course, I was super excited about! 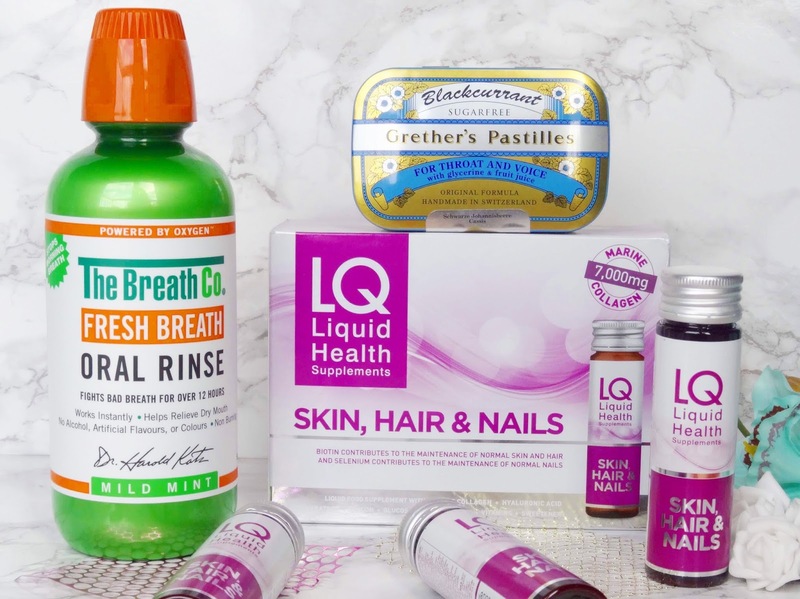 All three products are completely different from supplements to mouth wash and some throat pastilles that I have been testing out over the past few weeks. I've never tried any supplements before so I was very intrigued as to what they would taste like, what they would do and how long it would take to see or feel any results. These supplements claim to contribute to the maintenance of normal skin, hair and nails. I tested out the pack which contained ten dosages meaning I drank one 50ml tube every day. Each tube contains important key ingredients those being marine collagen 7000mg, hyaluronic acid, vitamin C and E, biotin, selenium and glucosamine. 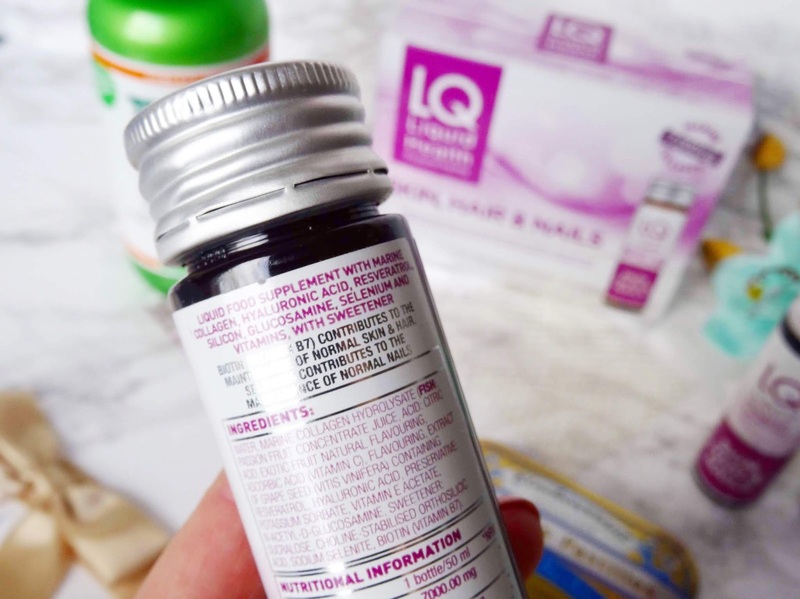 The collagen within the supplements is a very high portion and this is what makes LQ stand out from the other supplements out there as you do get a lot in each dosage. Selenium helps to maintain good nail growth and Biotin helps maintain normal skin and hair. Vitamin E helps to protect the cells from oxidative stress. Vitamin C allows normal levels of collagen formation to perform in the body, especially in the skin. If I'm honest, the first bottle was the hardest to drink as the taste isn't something I've ever had before; it sort of tastes like a fishy sharp passion fruit drink, that's the best way to describe it! However, as the days went on I began to get more used to the taste and the dosage is quite a lot, so you can't down that in one go. 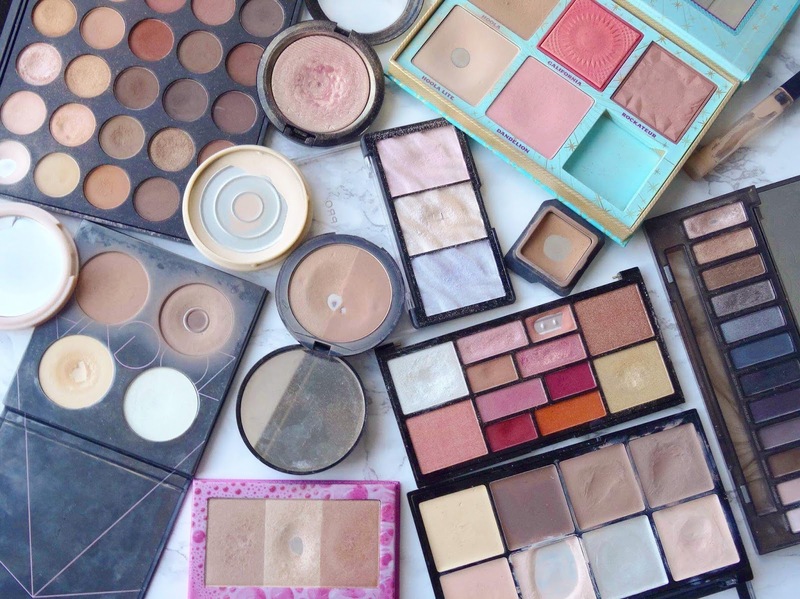 I started breaking out quite badly into day three of taking the supplements and I hadn't been wearing any makeup so I know it wasn't to do with that, the breakouts continued throughout the ten days and for a few days after I stopped taking them. However, on the plus side, when I brush my hair there isn't much malting taking place which is great. These couldn't have arrived at a better time as I currently have a cold and these are really helping my throat! The blackcurrant flavoured chewy pastilles help support the immune system, which is ideal for me at the moment and blackcurrant is one of the richest vitamin C fruits. The pastilles have been helping to soothe my throat and get rid of any tickly coughs that I've had. Other benefits include strengthening gums and protecting your voice, which can often disappear when you are ill. As for the flavour, I've never been too keen on blackcurrant flavourings, however, I thoroughly enjoy the taste of these as you can taste the juiciness without it being too sweet. I honestly don't know what I would have done without them recently! 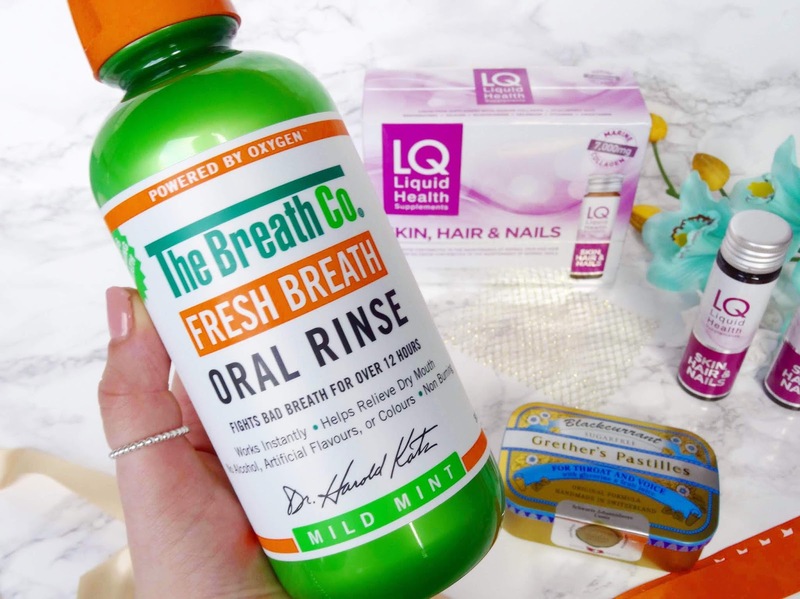 I've only ever tried the basis mouthwashes that you see on the shop floors, so when I saw this one and read a bit about the company and what they have achieved I was very interested in trying it. Dr Harold Katz created this mouth wash to help his daughter conquer bad breath, especially morning breath since nothing else had worked for her in the past, until now. Alongside the storyline behind the product, on the bottle, there are specific instructions on how to use it to get the best results and their claims. These include helping to relieve dry mouth symptoms and that the mouth wash works instantly. I was pleasantly surprised by this mouth wash as typically I didn't think it would do much, I thought it was more of a gimmick than anything but it does work! They say to rinse your mouth with a capful of the liquid but that cap is huge, so I used about half instead of the recommended but I still got great results. I would use this in the evening time after I've brushed my teeth, go to sleep and in the morning I'd wake up with my mouth feeling pretty clean and fresh; it's amazing! Thanks to the OXYD-8 which aids in destroying the bacteria that causes breath odour, morning breath is not a thing to me. The taste isn't that minty or strong but it does the job wonderfully. Those are the three healthcare products that I have been trialling and testing over the past few weeks and I'm so happy I've been able to discover them. Have you tried any of these before or will you be picking them up next time you are making an online order? Thanks for reading.